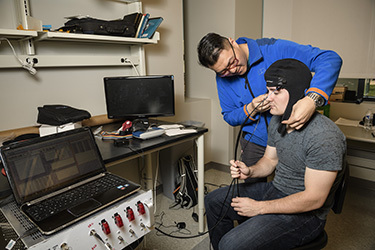 Students conduct dissertation research in one of seven research focus areas. Focus areas draw on faculty resources throughout the college. 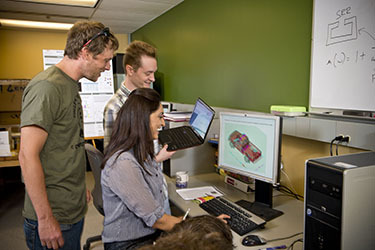 Using cutting-edge research in the application of computational methods for solving real-world problems, the Computational Design and Optimization focus area concentrates on the continuous design improvement of aircraft and automotive components for strength, performance, and reliability. Current research efforts in the controls and robotics focus area include discrete observer-controller design, efficient implementation of digital controllers using microprocessors for robotics and manufacturing, adaptive digital controllers for uncertain systems, and intelligent controllers with learning capability. Research is also being done to develop reliable and efficient computational schemes which interface with computer-aided control systems design packages. In the area of robust control, efforts are being done to facilitate control system design which accounts for uncertainties between the real system and the system mathematical models. Fuzzy control is being applied to a number of applications in robotics, manufacturing, and medicine, and other research is being conducted on advanced prosthesis design using actively controlled, electromechanical control of single and multi-jointed prosthetics. 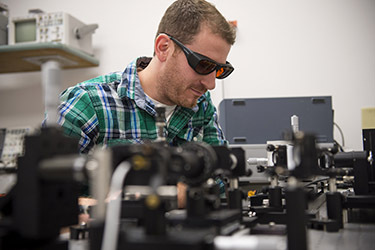 Research in power electronics includes high-frequency power conversion, dc-dc and resonant converters, electronic ballasts, radio transmitters, and semiconductor power devices. 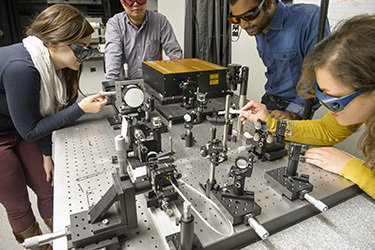 Research in the microwave area includes computational electromagnetics, MMICs, electronic packages, planar antennas for wireless, RF/mixed signal, and evanescent microwave microscopy. Research in VLSI is based on research demand targeted to a variety of nanotechnologies (CMOS, BiCMOS, SiGe, GaAs), digital and mixed-signal IC and SoC, VLSI testing, fault tolerance, FPGAs based systems, and analog IC for signal processing (high performance A/D and D/A converters, PLLs, RF circuits). 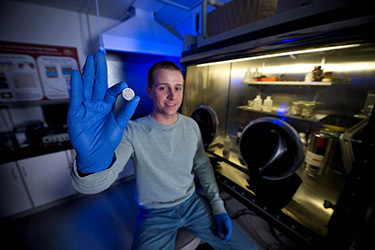 Research in nanotechnology includes ferromagnetic materials for RF tunable devices, Si/SiGe for high-speed transistor, and porous silicon fuel cells for portable electronics. 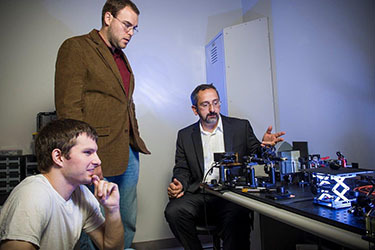 The Medical and Biological Systems focus area explicitly recognizes the growing importance of medical and biological systems within the Wright State University research community. Interdisciplinary research in this field uses principles of engineering, science, and mathematics to solve problems in the medical community and healthcare industry that advance fundamental biomedical engineering knowledge and lead to innovative engineering design applications. Research in Sensor Signal and Image Processing focuses on holistic approaches to modeling, processing, extracting, and exploiting signals and inputs produced by a variety of sensors in widely diverse applications. Aggressive research programs span sensor phenomenology, signal models, processing and fusion techniques, performance analysis, and image degradation characterization with associated correction techniques. Recent projects have developed technologies in computer-aided non-invasive medical diagnosis and monitoring; commercial applications of speech and image recognition; and military and law enforcement techniques for tracking and identification of targets. 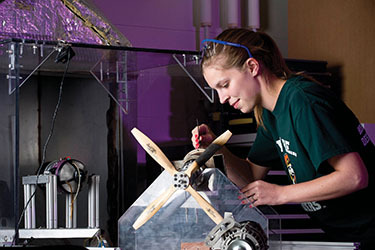 Students working in this focus area embrace issues ranging from sensor physics to information utility and emerge with a unique appreciation for and capabilities in sensor system design and development. Current research projects include multisensor fusion and automatic target recognition.